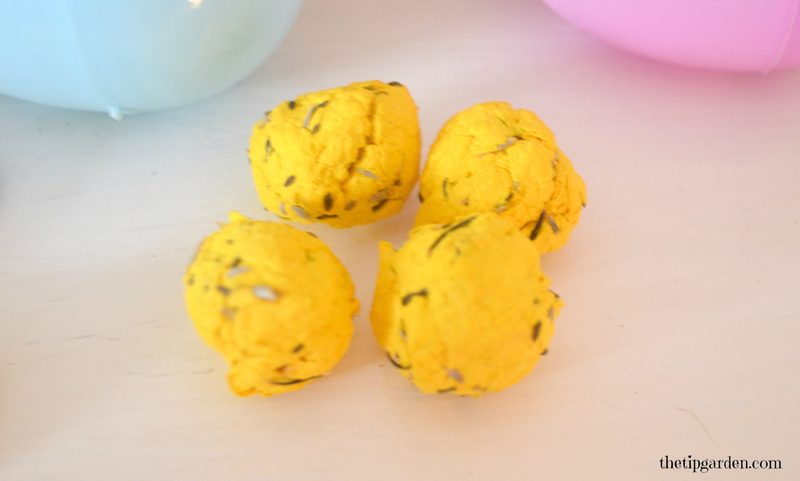 Making Seed Balls is a fun, easy gift to make. What is a seed ball you ask? 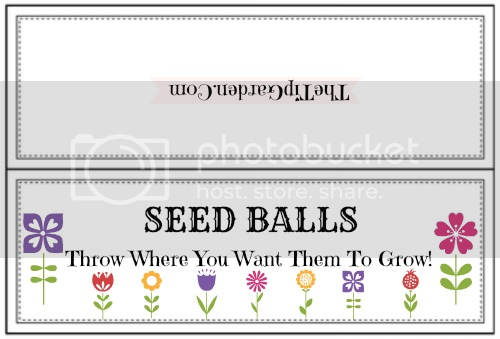 A seed ball is a dirt or paper ball infused with flower or plant seeds. Then when out on a walk, hike or around the city, if you see an area that you think could be made more beautiful with flowers, just toss a ball or two in that area and let nature take over and before you know it, flowers or plants are growing in an otherwise barren area. 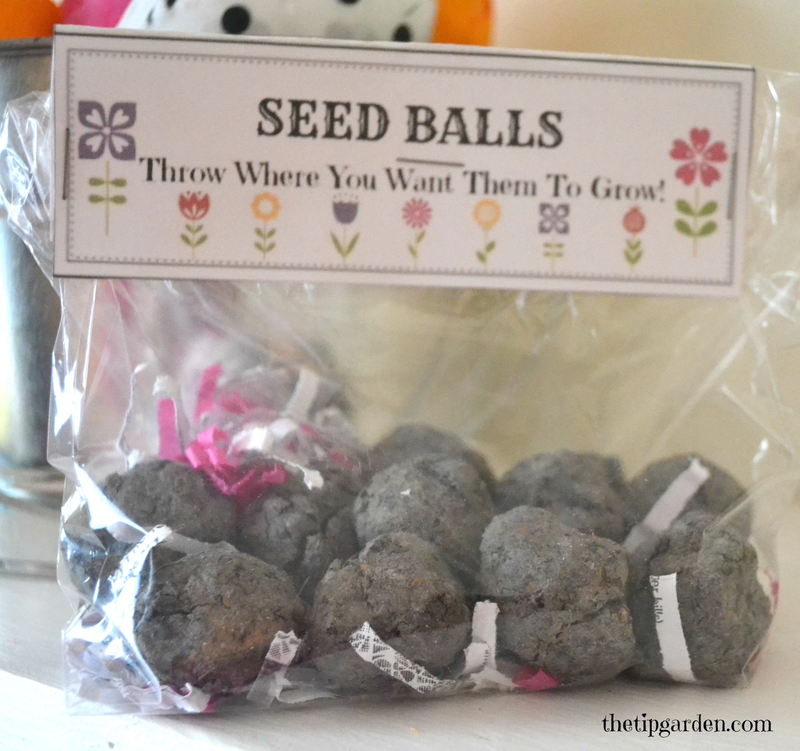 Seed balls are a wonder wedding favor or Mothers Day gift. They are thrifty in cost, unique and fun! There are mainly two types of seed balls. Dirt based and paper based. Today I am making both of them for you! Besides flowers you can also embed edibles such as leafy greens, herbs into the balls also. Perfect for tossing on a hike, and feed the wildlife in the area. I chose a packet of bee friendly flowers for my friend who has bee hives and a butterfly friendly mix as well as seeds for herbs and greens all mixed in together. I consulted with a Wildlife Biologist, and she loved the project, but advised that you should use native plants for the area the seed balls may be going. So since I am sending some to my step-mom in Idaho, I will be looking into what native wildflowers grow there before making her seed balls. Jan's Tip: The Dirt balls use powdered clay as a main ingredient. The clay helps hold the ball together and dry it out. Clay is available at either pottery supply stores or I got mine at Vitamin World. The powdered clay is also great for making your own facial masks, so the $5.00 I spent on the jar will NOT go to waste! Slowly mix in 1 part water. Mix well. You are looking to make the mixture wet enough to hold together like play-dough but not sopping wet either. Add in the second part water as needed. Mix well. place on a baking sheet or other flat surface and let dry completely. Usually 8-24 hours depending on humidity, temperatures, etc. Do not seal in bags until completely dry or they may sprout! Jan's Tip: I got a dozen small 1/2 inch sized seed balls by using the following amounts: I used tablespoons today. So I used 5 heaping tablespoons clay, 3 heaping tablespoons soil, 1 (ok maybe more like 1 1/2 Tablespoons) seeds, and I actually needed about 3 Tablespoons water for this batch to hold together. Sorry I don't have exact amounts of paper and seeds to this version. 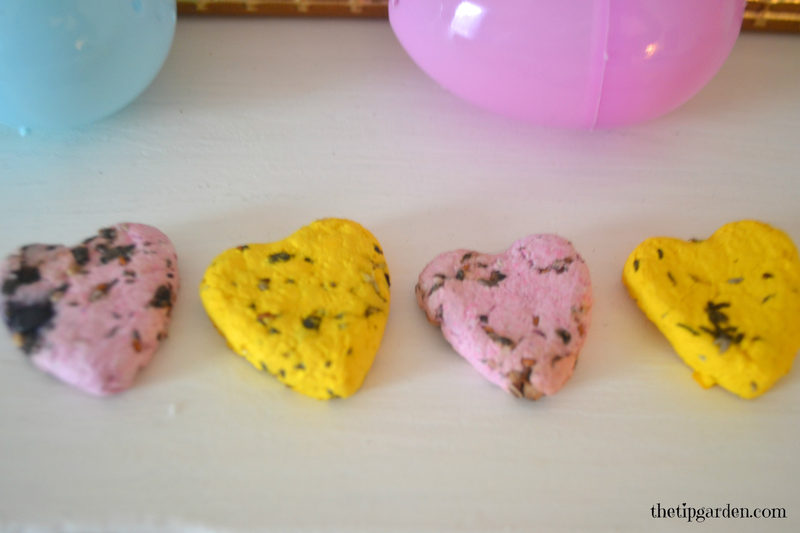 I used a whole bag of yellow gift bag shred and got about 24 balls/heart shapes out of it. The purple paper I used about 2 sheets of 8 1/2 x 11 scraps of paper and got about 4 heart shapes. Hope that helps. In a large bowl place paper shreds and cover with water. Let paper soak 2-4 hours till paper is easily pulled apart/broken down. Put the batches of mush in a fine mesh strainer and let some of the excess water drain off, but do not yet squeeze all the water out. You'll need some to form the balls. 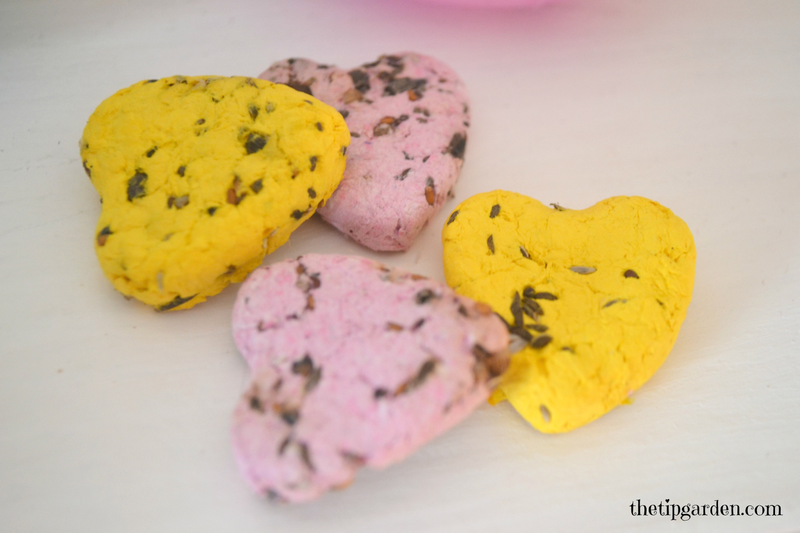 If you want to mold the seed balls, like these hearts, lightly ring out a scoop of the paper mush in your hands but not completely. Press it into the molds. Takes about 24 hours to dry in the molds.